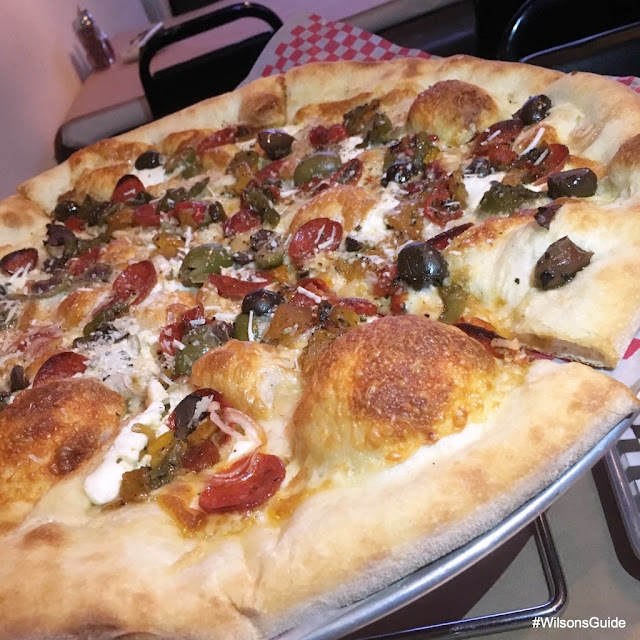 I’ll Be Back…: For the Rick Ross pizza – it’s my favorite! 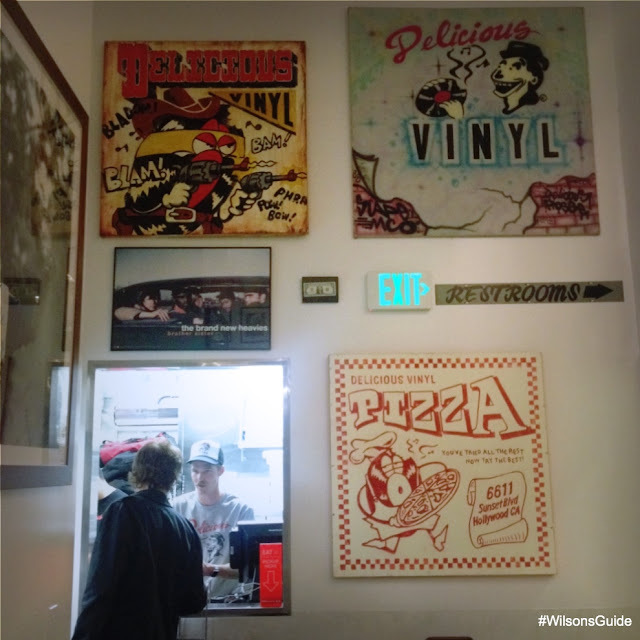 Gourmet pizza and old school hip-hop. It wasn’t a combination I ever saw coming, but I’m so glad it came. Delicious Pizza has smartly managed to craft tasty, creative pizzas in a really cool space that pays homage to hip-hop — in every aspect of its design. 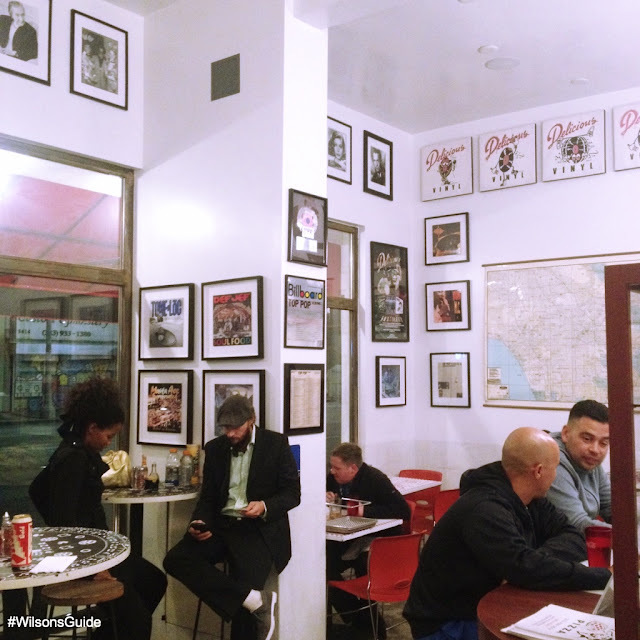 Longtime music exec Mike Ross opened up this eatery — on Adams Blvd., between La Cienega Blvd. and La Brea Blvd. — last year. Back in the ‘80s, he co-founded the record label Delicious Vinyl, which includes a roster of artists like Dom Kennedy, Casey Veggies and The Pharcyde. Now, scores of vintage hip-hop artifacts, photos and records from the artists on Ross’ label cover on almost every inch of Delicious Pizza's walls. Albums like Def Jef’s Soul Food, photos of hip-hop legends and "antiques" like boom boxes are everywhere. Even the menu is designed as a tribute to music, with the names of pizzas spaced out in the form of a record. Hip-hop and rap blast through the speakers, nonstop. I love that I can groove to my favorite rap songs by artists like Outkast and the Notorious B.I.G. while eating a satisfying slice of pizza. Whole pizzas come in two sizes — small or large — and there’s options to satisfy both meat-lovers and vegetarians alike. In total, there are 16 pies to choose from, and you also can create your own. There are the typical ones you’d find anywhere — cheese, sausage, Hawaiian, etc. — and then there are great inventions, like Big Ballin’, with lamb meatballs and basil. My favorite is the Rick Ross, with ricotta, shallots, mozzarella and olives. I always add roasted peppers and garlic, and there are loads of other extra toppings, like pepperoni, sopressata and shallots. You can also order select pizzas by the slice. Whichever you end up with, make sure to drizzle on the tangy housemade hot sauce. It’s so good! 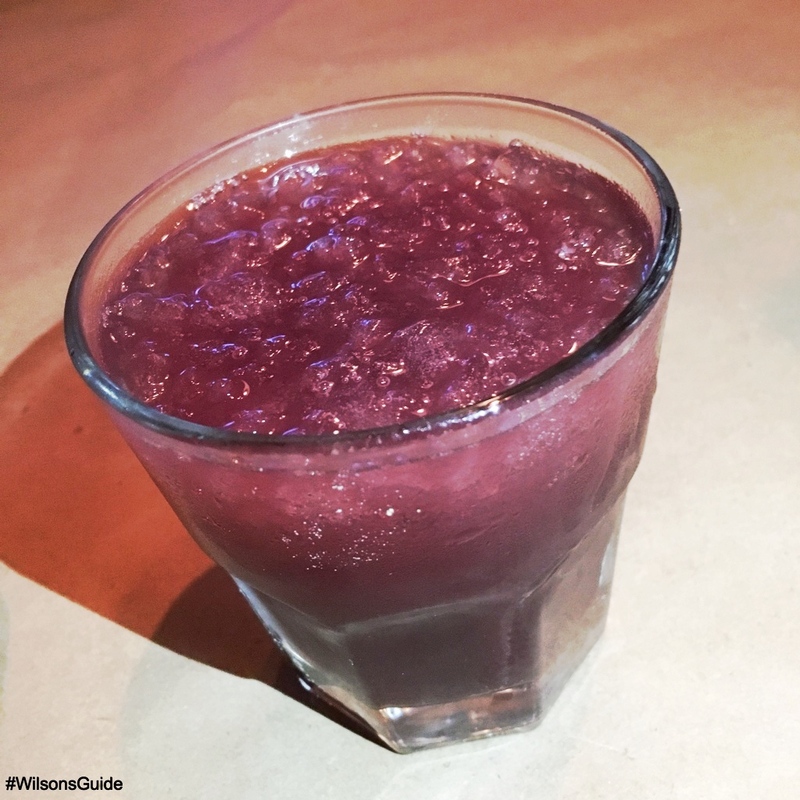 The Funky Red Sangria, which comes by the glass or by the pitcher, is a must. There’s a wide selection of beers, too, from bottled selections like Red Stripe to ones on tap. 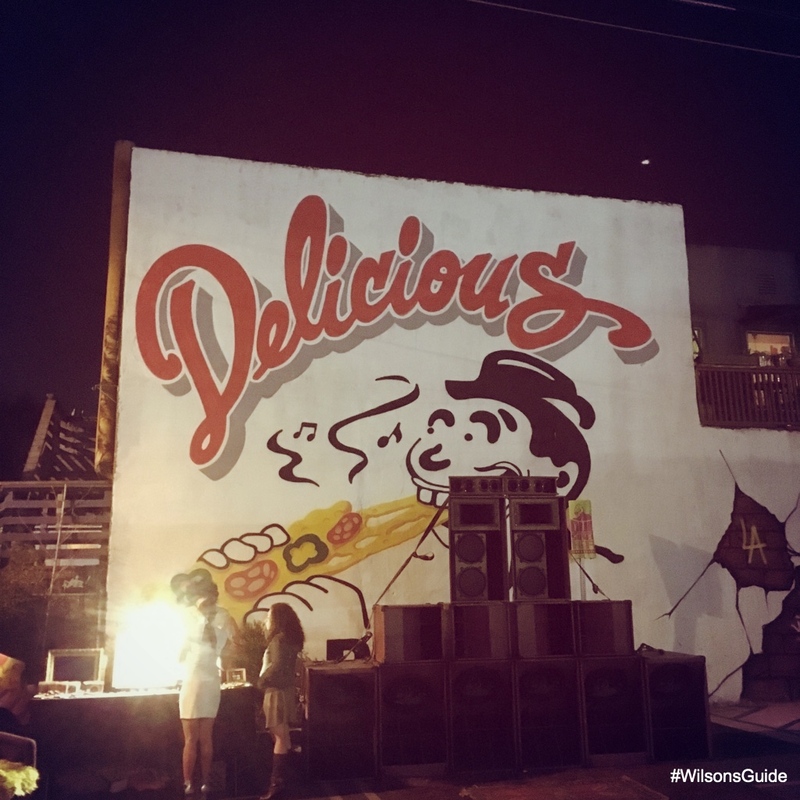 Aside from pizza and sangria, Delicious Pizza also has a ton of different events going on. One of my favorites is the reggae jam that happens every second Sunday of the month. Pizza, sangria and reggae? Count me in.